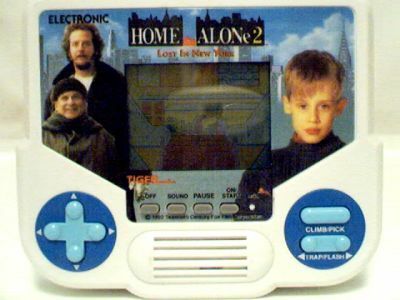 For some reason, I caught my self watching the first half of Home Alone 2. Perhaps because it was late at night and hadn’t seen this movie in forever. Only watching half of the movie aside, I am fairly confident that this incarnation of the ‘Home Alone Series’ is way more fun than the original. I can’t back this up confidently since I don’t remember the first one well, but from what I can recall, I didn’t like the first one since it was so gloomy and dark until the awesome last half hour when Kevin outsmarts the Wet Bandits with his toys and knick-knacks. 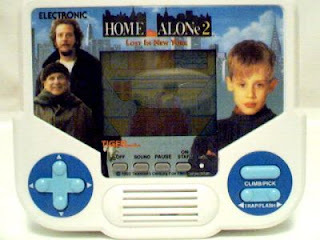 However, watching the first half of Home Alone 2 was pretty fun. Despite it being an exact re-hash of the original, it took itself so much less seriously. The way that the careless parents ‘lose’ Kevin at the airport and make it all the way to the perma-raining Miami is so divisive and illogical in a way that makes it hilarious. The second Kevin realizes that he’s ‘done it again’, he immediately starts having fun and spending his dad’s credit card on everything I wish I could’ve done as a kid. Another key reason this movie is way more fun than the original is clearly due to the fact that it has Tim Curry in it as a bad guy, and a cameo by an early Donald Trump. Currently ranked #598/1387 of all the movies I’ve seen on my flickchart.com account.